We want to help make life with your dog easier by allowing you to enjoy a calm and well-behaved companion. Teaching your dog to understand your obedience commands is important but it’s relationship-building that really counts. When you build communication skills and a better relationship with your dog, better manners and obedience will easily follow. Focus Foundation is a 6-week class and is the foundation for all future training and is perfect for improving the behavior of your favorite pooch. We will train or improve basic obedience skills and improve manners. We will work on attention, impulse control, and the ability to work around other dogs as well as people and distractions. We will help you build better motivation and confidence and discuss how to solve some pesky behavior problems. Tired of your dog not coming when called the first time you ask? Annoyed by a dog who drags you for a walk or doesn’t seem to notice when you’re talking to him? If your dog’s behavior has got you a bit frustrated or embarrassed, or if you just want a little more polite behavior, this class is for you. Living with an engaged and responsive dog is one of life’s greatest pleasures! We can help you enjoy a calmer and better-behaved dog. 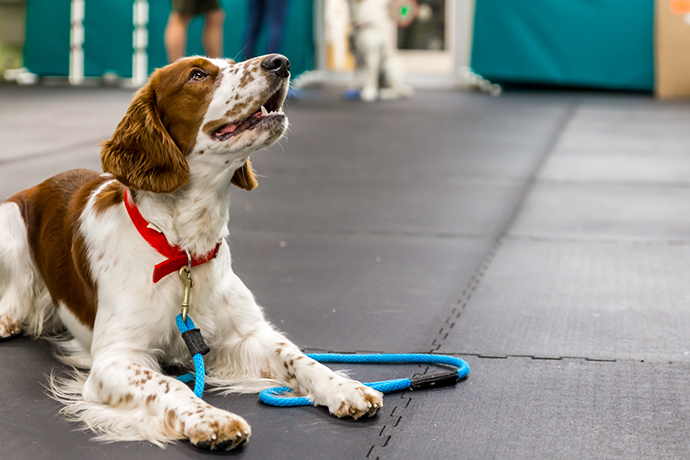 In this class, your dog will learn to respond to you the first time you ask and you will learn how to change pesky habits like pulling on the leash and jumping up. A well-mannered, polite pooch is fun to live with! This class is also important before starting fun dog sports such as agility. • Improve the manners of your favorite pooch. • Improve basic obedience skills such as sit, down, stay, go to your mat, and come. • Solve troublesome problems such as pulling on the leash, not coming when called, and jumping up to greet. • Use impulse control games to teach leave it and other skills to decrease unwanted behaviors such as pulling toward lizards, squirrels or other dogs while on walks. • Get better attention and focus so your dog will respond to you the first time, even around distractions. • Teach your dog to work around other dogs and people, and build drive, motivation, and confidence. • We will show you how to utilize the power of the clicker to teach skills quickly using positive techniques (see more info below). • You will learn to reward success, not punish mistakes. This results in a dog that has trust and confidence in you and who is eager to learn. • In the webinar/video (the first class, which is done at home) we will teach you how to view the world through your dog’s eyes, and practice mechanical skills to help improve your training and create quicker success. We will also give you information on how your dog learns which will help with your training in addition to providing understanding about how some behavior problems can be avoided or fixed. You will start on some lessons at home which will better prepare you for the fist class at Lucky Dog. Who is this class for? This class is for dogs around 5 months of age and older that are fine (friendly or indifferent) around other dogs and people (no aggressive lunging or barking). The first class is an online webinar which you will view in the comfort of your home. This video presentation, “How Dogs Think & Learn (Build a Rewarding Partnership With Your Dog and make your training a snap)” will provide important tips and tricks to make your training easier, faster and more effective. You will be given the first of your fun homework assignments which will set you up for success on your first night with your dog. You will be taught the skills and concepts needed to better understand your dog and how to change annoying behavior problems. Our goal is to help make life with your dog easier and more enjoyable. FYI: If you want to start the webinar sooner, please let us know. We are happy to send the link as soon as you register for class. Learn More About the Video Webinar. The last 5 classes are conducted hands-on at Lucky Dog with your dog. Both spouses/partners are welcome and encouraged to attend class. Teenagers (and mature preteens) are welcome as well. Class Duration: Class Duration: This class is an hour per week for 5 weeks at Lucky Dog plus the online seminar that you will view at home and begin lessons. Prerequisite: Your dog must be friendly, or indifferent to dogs and people (no aggressive barking, lunging or growling). In addition, this may not be the right class for dogs that are dramatically afraid of most things in their world. Please call if you have any questions. There are no refunds if you cancel less than 2 days before class begins (unless there is someone to take your place). We use the power of reinforcement to encourage the dogs and to create motivation and fun. 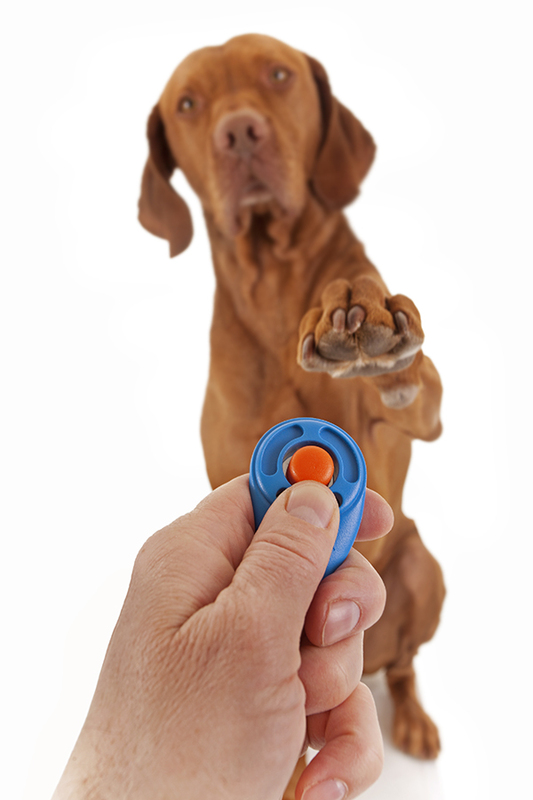 Clickers (or an alternative conditioned reinforcer) are used to mark correct behaviors as soon they occur, creating fast and crisp responses. Click here to discover what you should bring for class (or purchase from Lucky Dog).